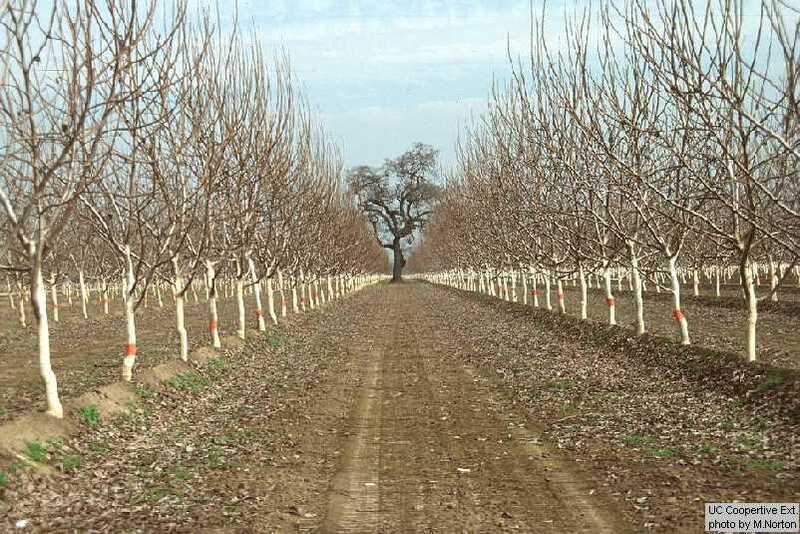 Merced County is a great place to take pictures of agriculture. 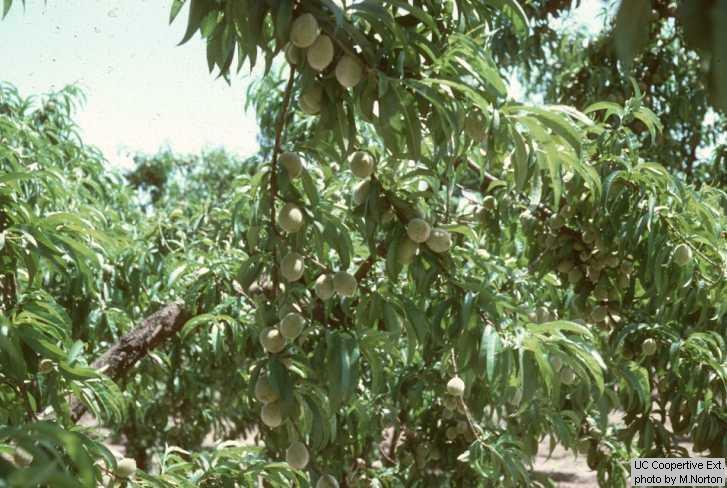 With a little practice you can identify the fruit and nut crops grown in our area. 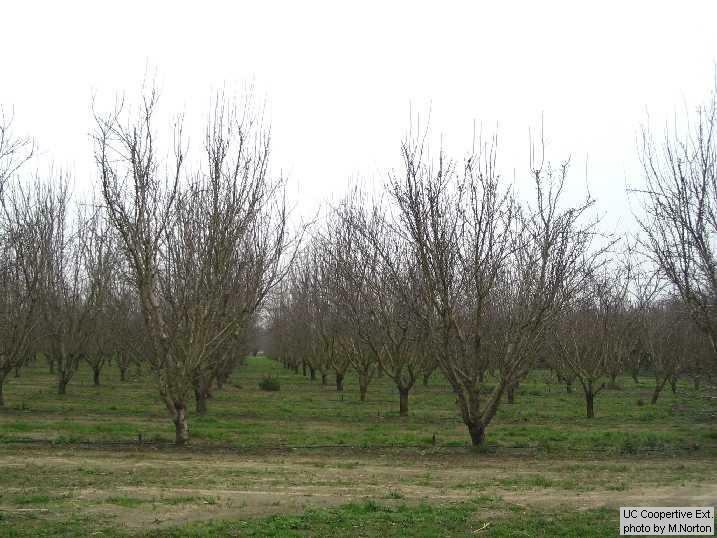 Click this link to view examples of the trees discussed below. 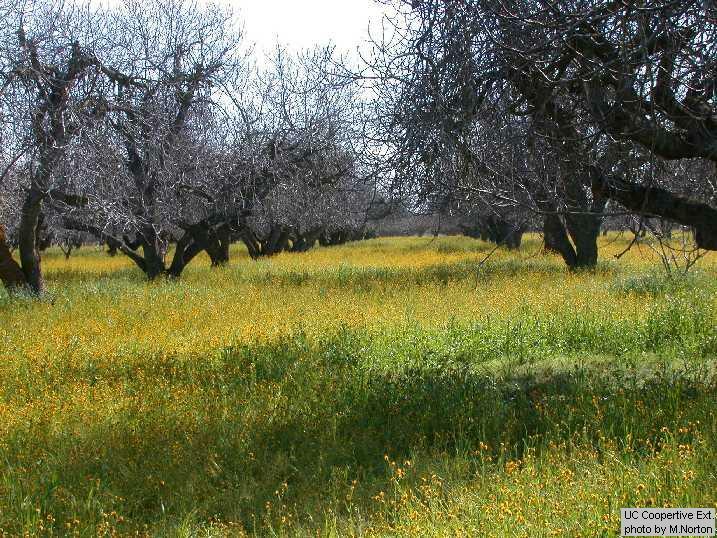 on the east side of the county. 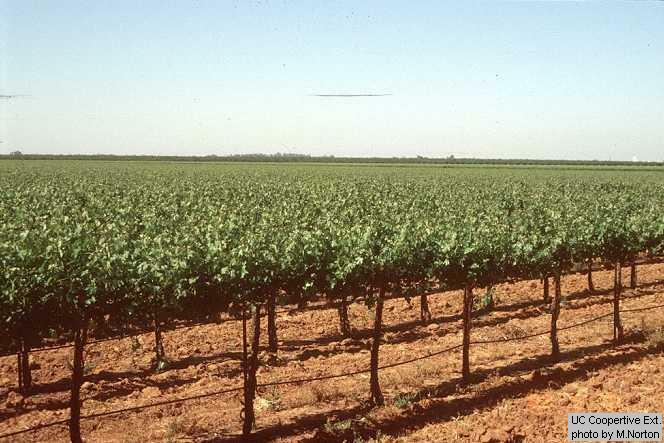 open vase shape with a flat top. 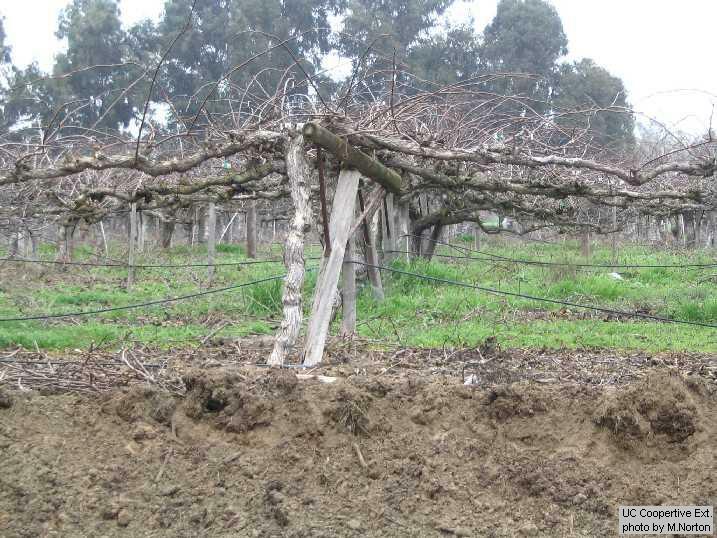 feature that both the farmer and workers like very much! 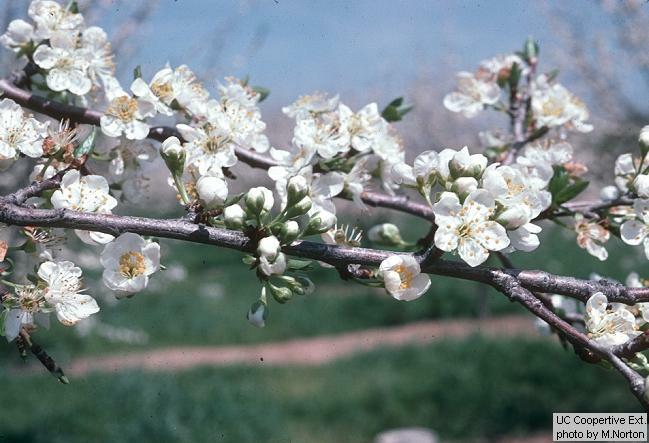 scaffolds. 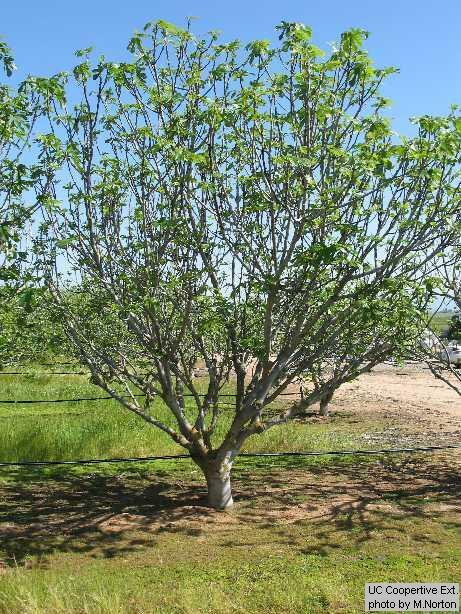 The older trees will have a gnarled trunk. 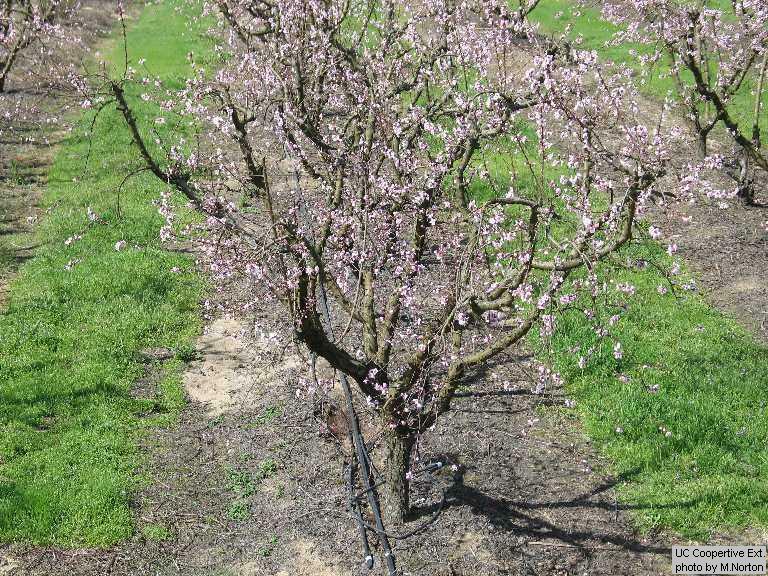 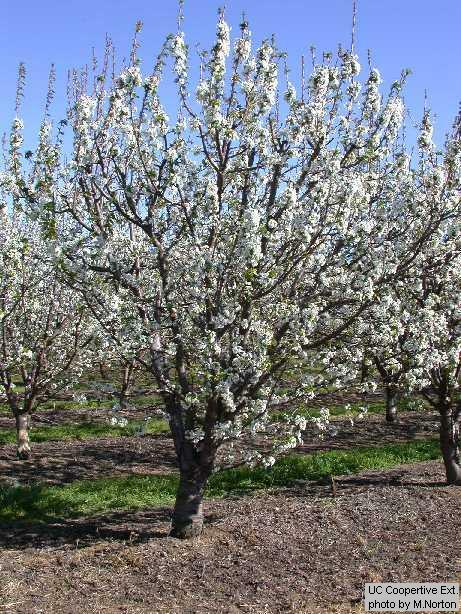 There are very few plums in Merced County. 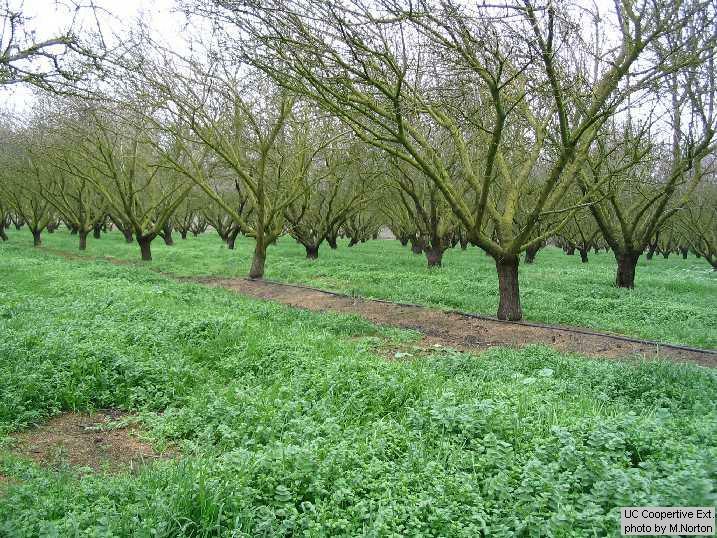 are southeast of Merced and on the Westside of the county. 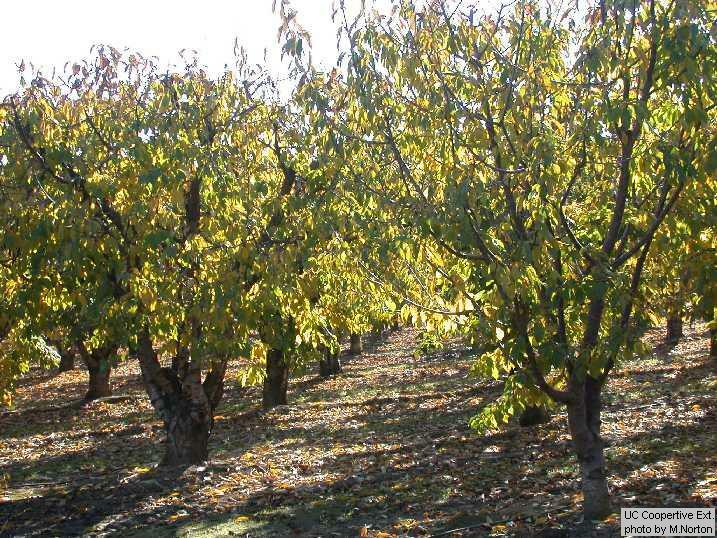 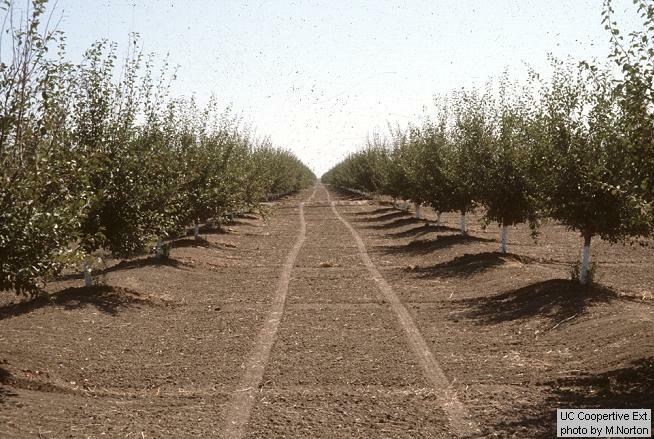 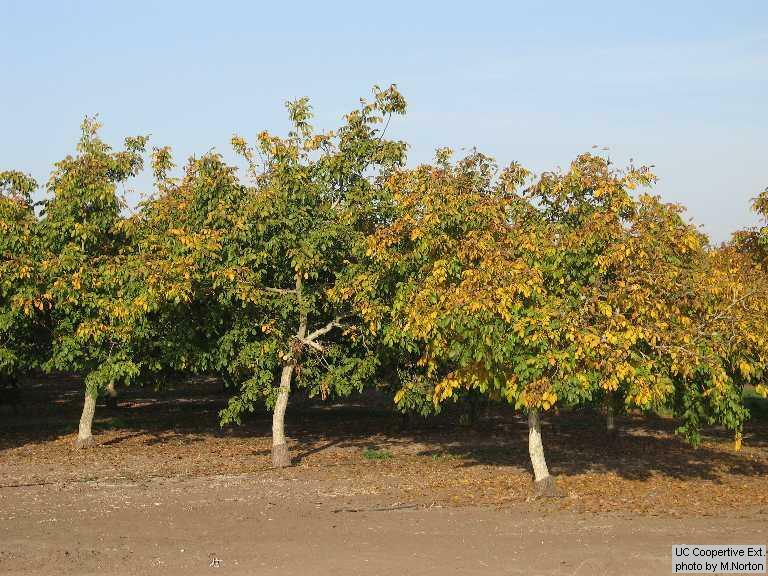 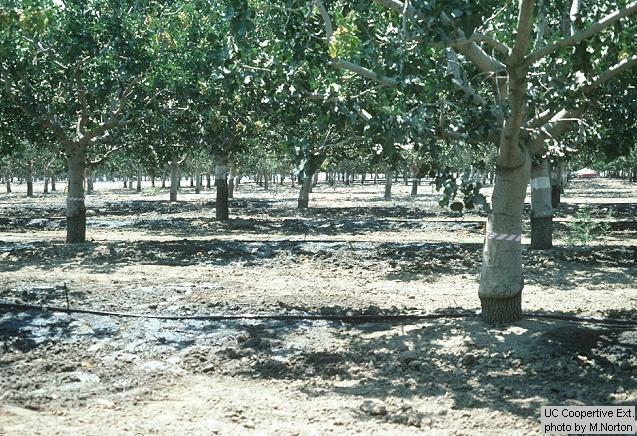 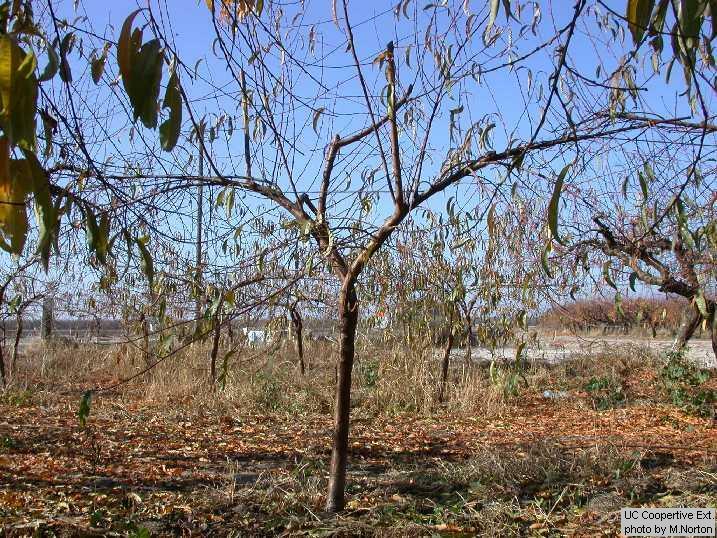 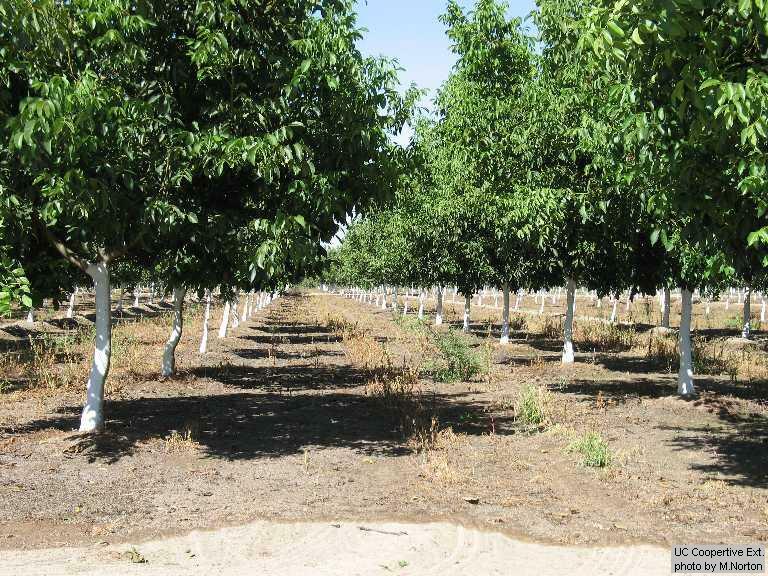 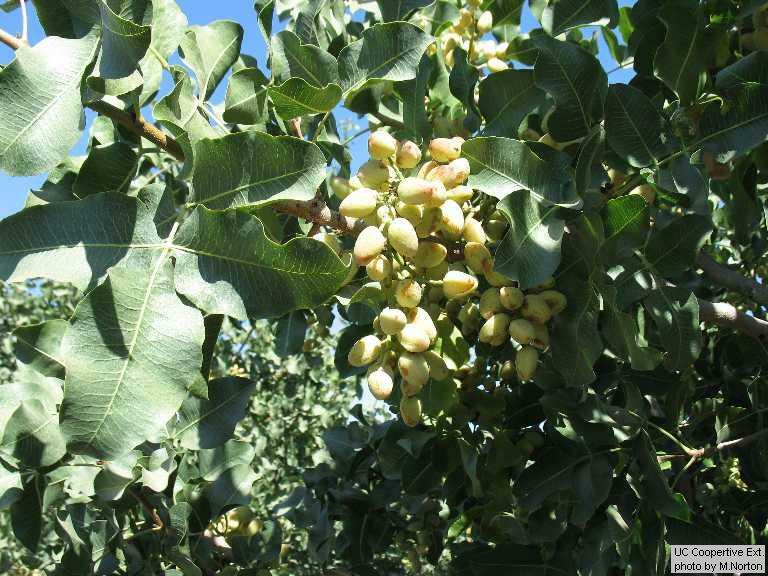 Pistachios are found in the southern portion of Merced County as you get near Chowchilla. 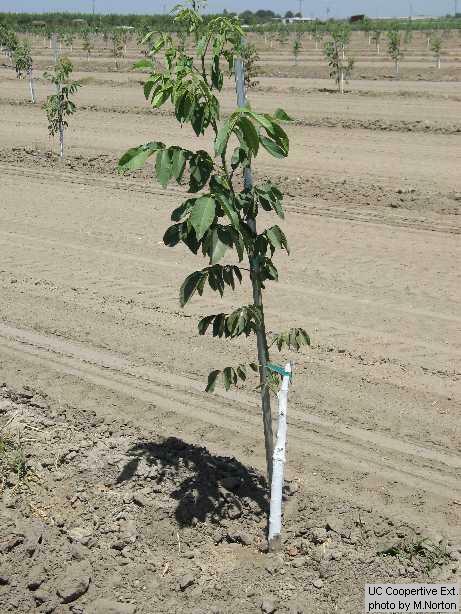 They look a little like a small walnut tree but are planted closer together and the leaves are different. 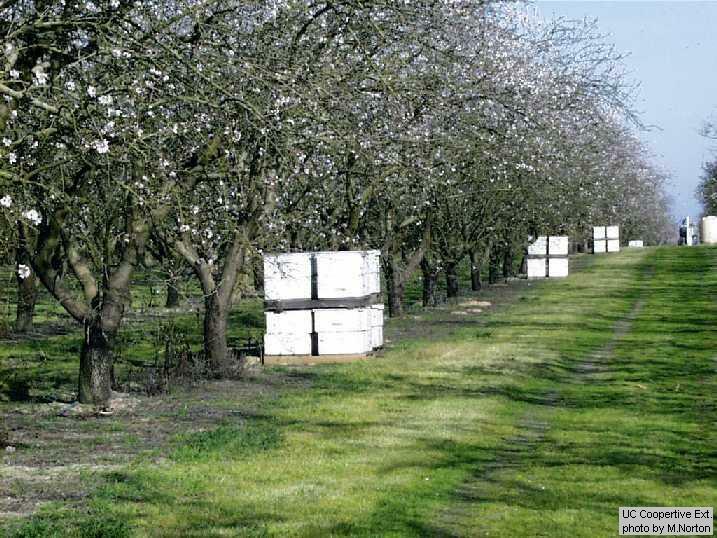 (pistillate) to catch the pollen. 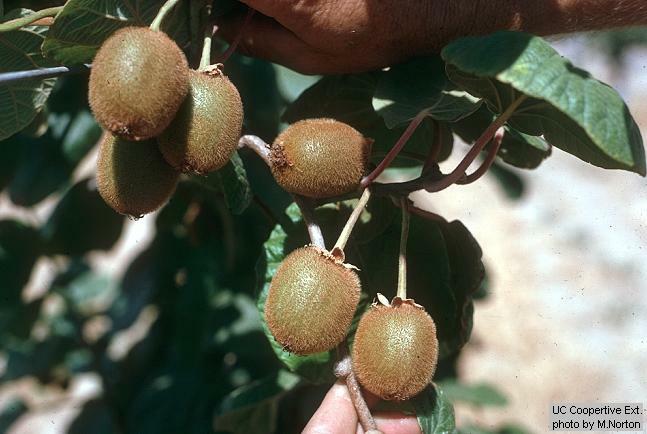 Kiwifruit (a few in north Merced County) will resemble grapes because they are a vine. 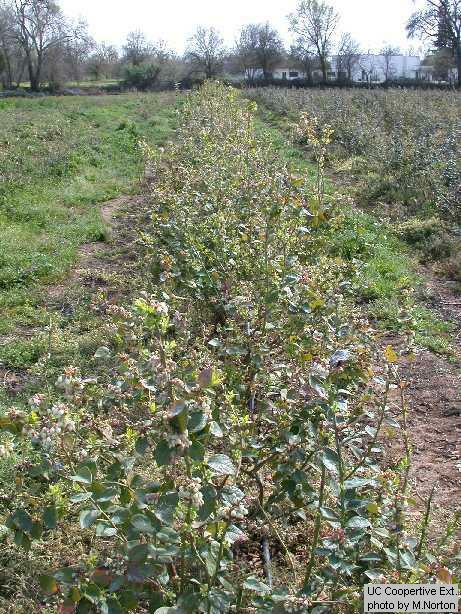 They will be trained on a trellis that is about six feet tall. 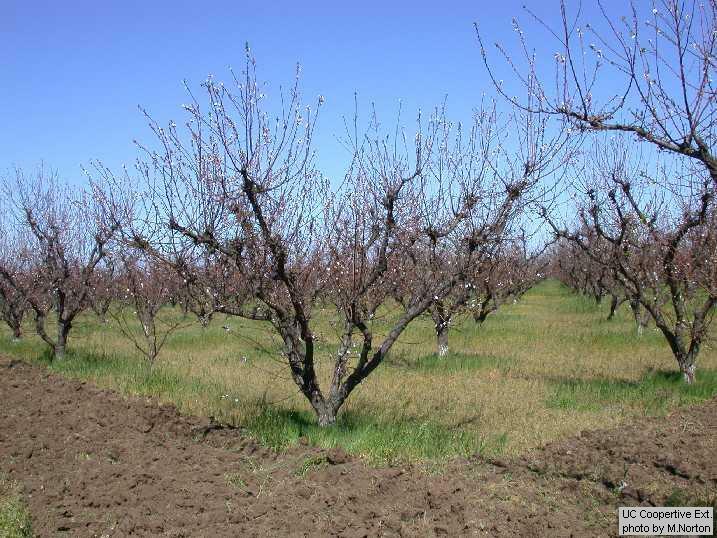 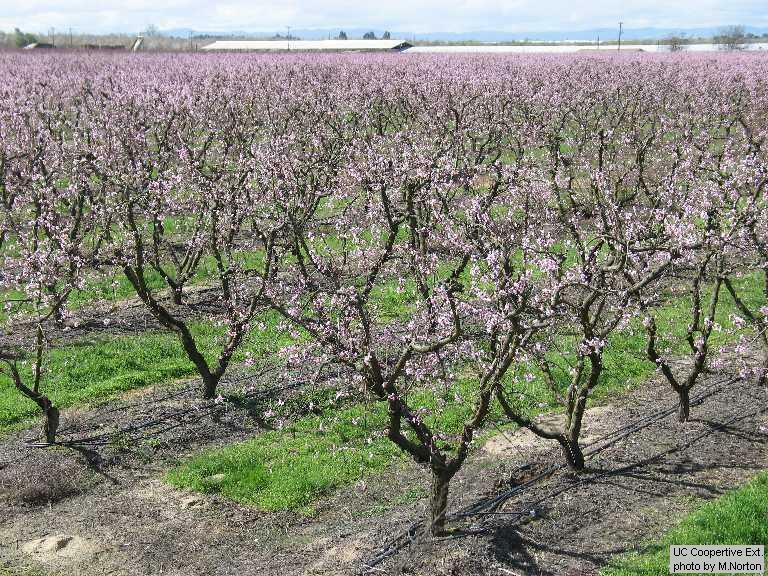 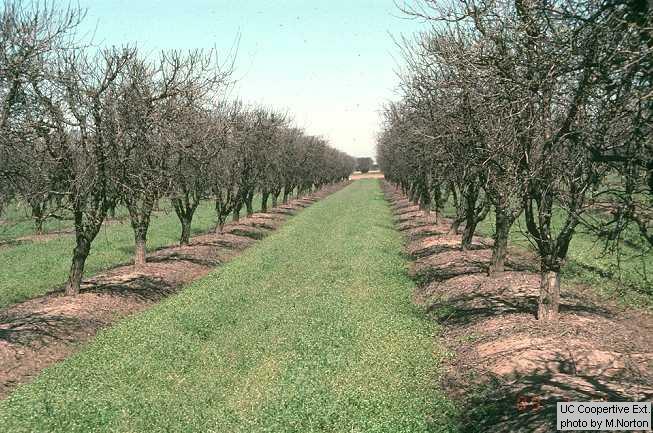 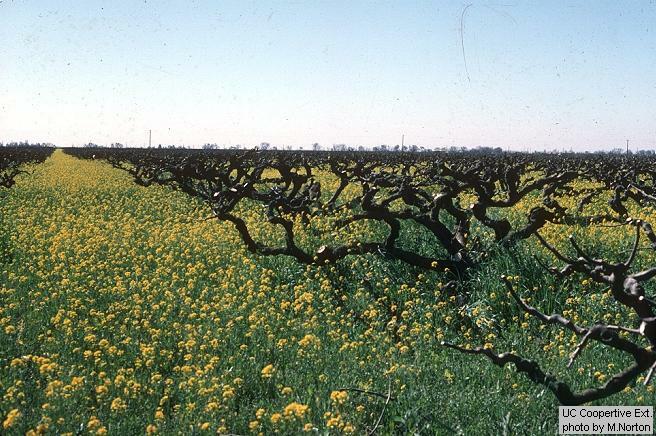 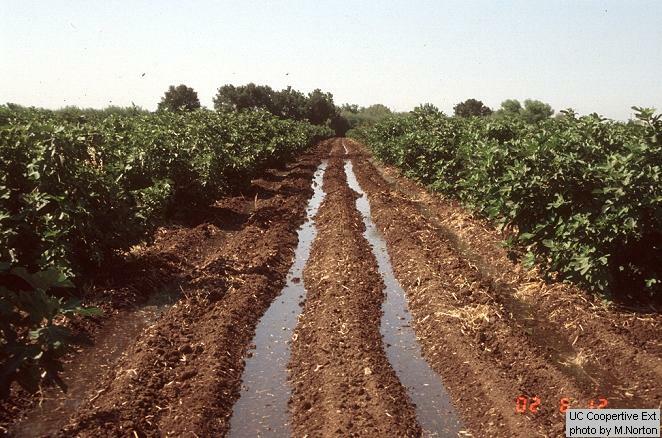 A few blueberry fields can be found in North Merced County on very sandy soils. 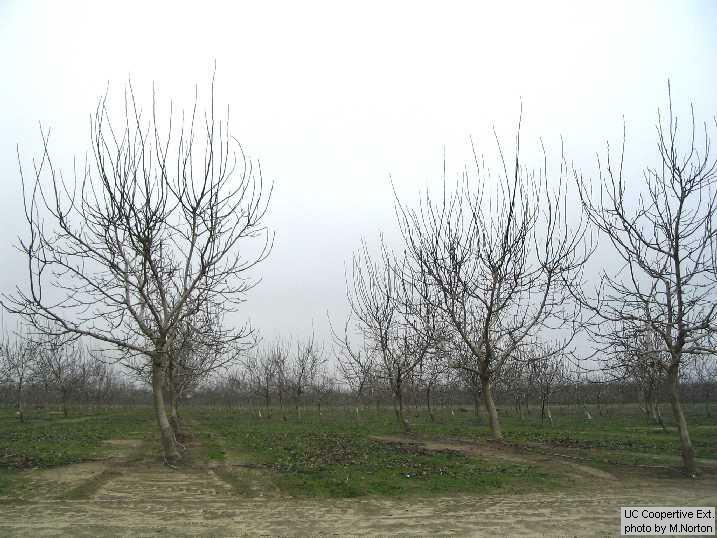 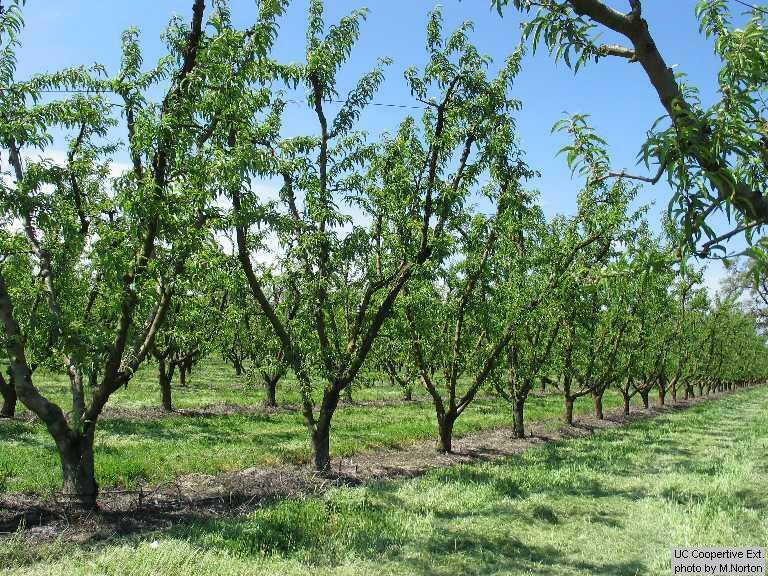 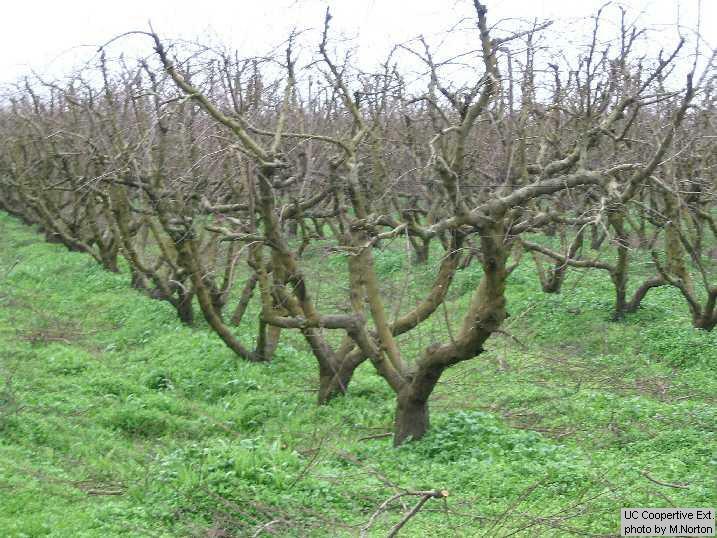 There are no commercial apple or pear orchards in Merced. 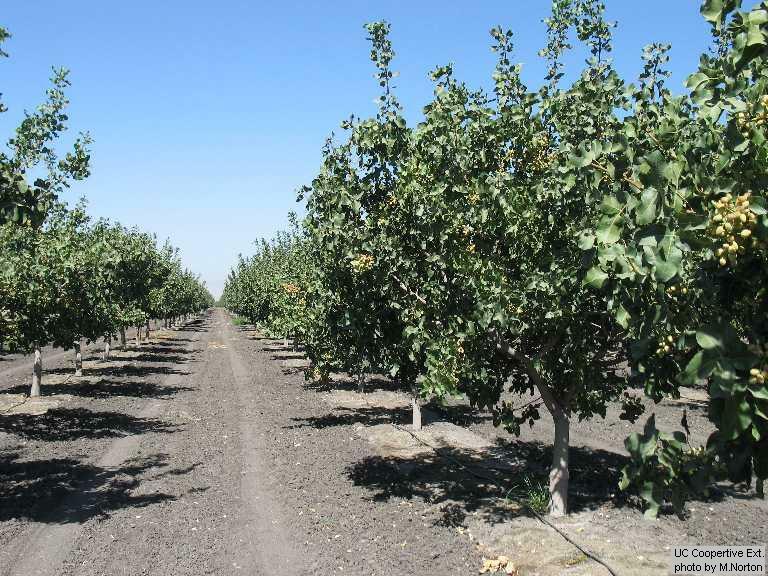 We have only a couple Asian pear blocks.